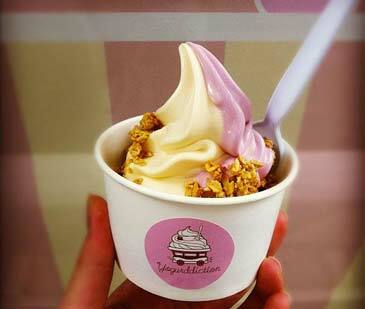 Yogurddiction introduces “Frozen Yogurt on wheels”. The first ever frozen yogurt truck in Melbourne. Roving about the streets of Melbourne, catering for festivals, events, and parties, spot the spruced up Yogurddiction van and try their very own fat-free soft serve frozen yogurt.